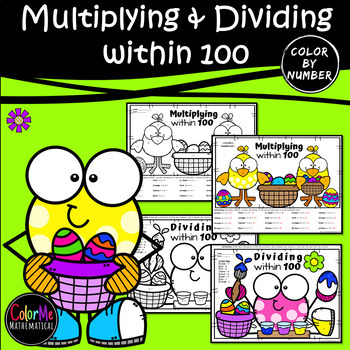 Celebrate with these adorable Easter Chick & Easter Smiley Multiplying within 100 & Dividing within 100 color by number worksheets! 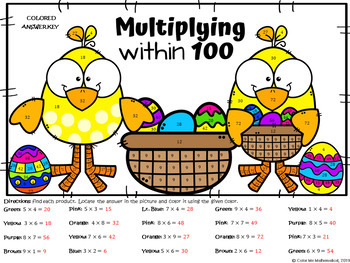 No-prep, simply print, solve and color! 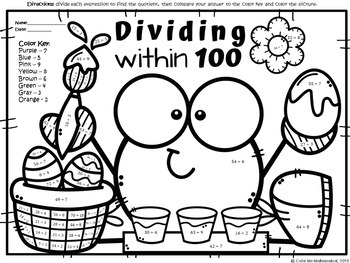 Copyright ©Color Me Mathematical, 2019. All rights reserved. This resource is to be used by the original downloader/purchaser only. 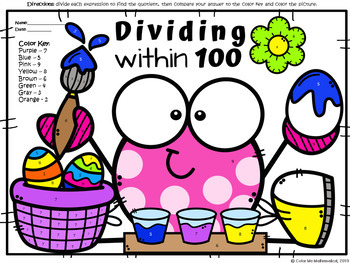 Reproduction and distribution of this resource for another teacher, classroom, department, school, school system, digital display, public view or commercial use is strictly prohibited. All elements of this resource are copyrighted and cannot be extracted and used outside of this file without permission or license. Intended for classroom and personal use only.